Most people drew pictures when they were kids. Colin made his own board games. Luckily, he gets to further his love of information design as UX manager at ICF International in Washington, D.C., where he consults for Fortune 500 companies, nonprofits and government clients including UPS, Lowe’s, AARP, AAA, NHS and DOI. Notable projects include the launch of Open Forum by American Express, responsive redesign of Aids.gov, and work on Bank of America’s Flagscape intranet, cited by Jackob Neilsen as a top pick for intranet usability. Colin is a frequent contributor to UX conferences and publications, including UXPA International, UXDC, Gilbane, A List Apart, Ad Age, and The UX Booth. He credits any career success thus far to not going to law school. 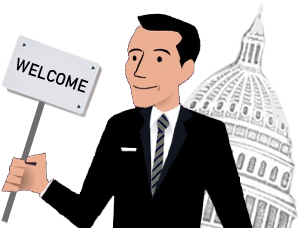 Colin A. Eagan, M.S., is a user experience (UX) professional in Washington, D.C. specializing in experience design, information architecture, and content strategy for large, multidisciplinary digital design efforts. He is a published author and frequent contributor to UX conferences and publications. For bookings please contact via Twitter or LinkedIn.